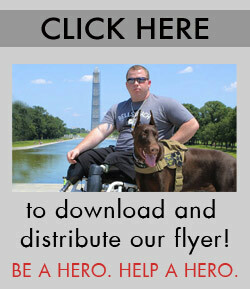 Argus Service Dog Foundation is a 501 (c) (3) non-profit organization. Your generous donation allows us to offer highly trained service dogs and vocational programs to disabled veterans in need at no charge. Your gift is tax-deductible as allowed by U.S. law.